NRPA, in collaboration with the Oklahoma City Parks and Recreation Department, brought together leaders inside and outside of parks and recreation to explore how our field makes an impact on regional economic competitiveness and quality of life. We know parks contribute significantly, but how does the private sector see us, and what tools and funding is out there to help ensure that our parks and recreational opportunities continue to drive economic development and attract, businesses, talent and visitors? Using Oklahoma City and other cities as models, attendees discussed best practices around how parks and recreation contribute to a region’s quality of life and how private sector entities view parks from a competitive economic lens. Via site visits and facilitated discussions, leaders in and out of parks and recreation discussed how parks can better integrate into regional/city economic development planning, and identify novel funding sources for parks and recreation through economic development activities. View photos from the Oklahoma City event. Click here to see a list of future and past Innovation Labs. 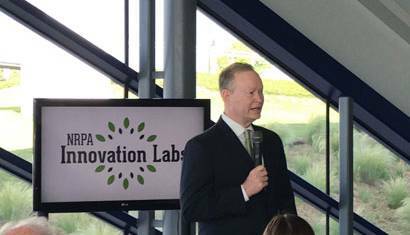 In May, NRPA convened its 10th Innovation Lab, which brought together leaders inside and outside of parks and recreation to explore how the field impacts regional economic competitiveness and quality of life.